I’m so psyched to introduce this next guest blogger. She’s one of my favorite people and a great baker! 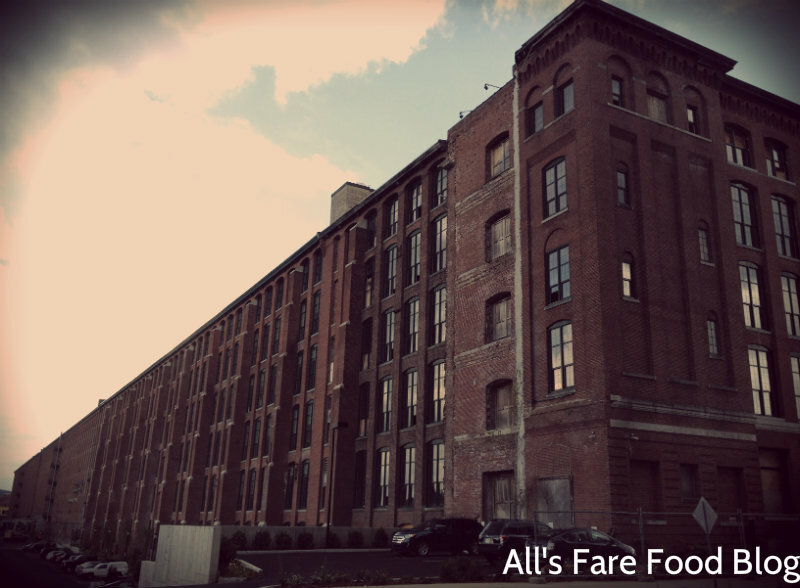 Stacey LeBlanc is no stranger to the All’s Fare community. Her and her hubby Jake have been along with us on a few of our outings around Boston – The Barking Crab and Sake. 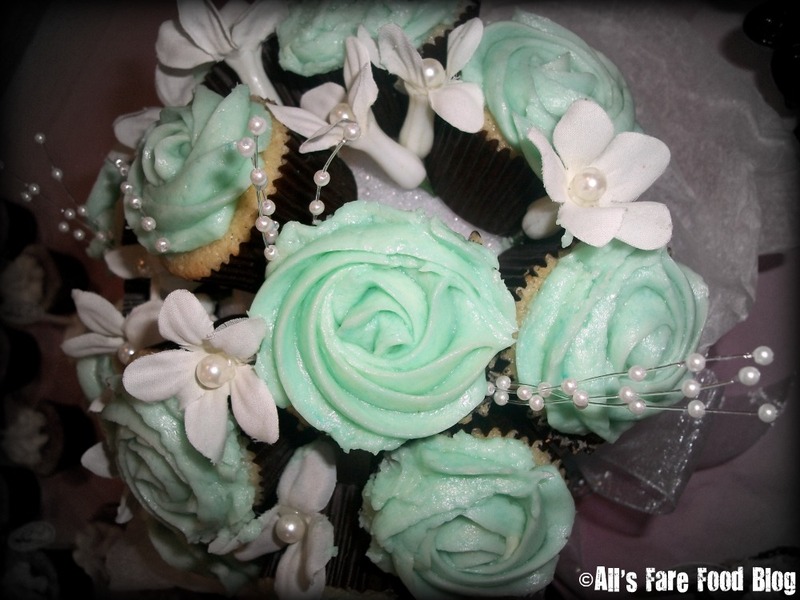 Stacey has been wanting to get into the blogging world so when she told me she would be baking these Irish Carbomb Cupcakes for her company’s St. Paddy’s Day potluck, I knew this would be the perfect debut for her. 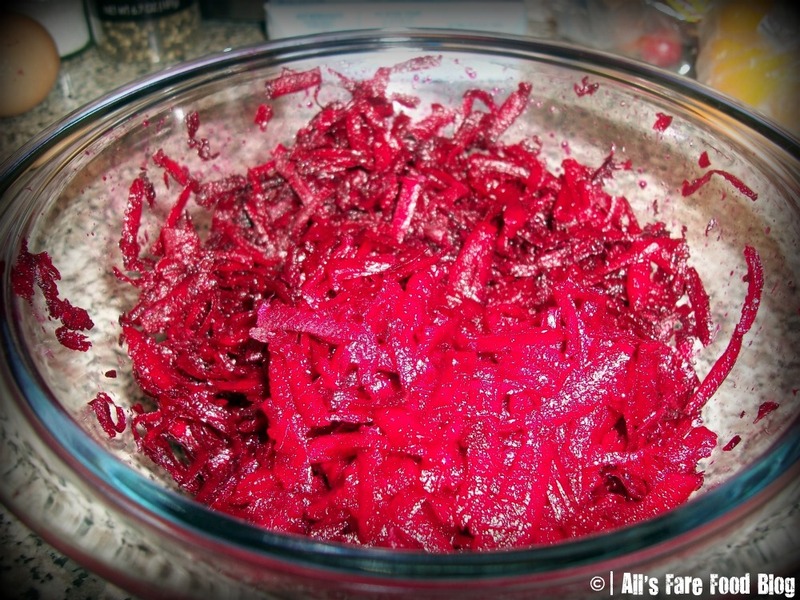 I hope you enjoy this excellent and tasty-looking post (and I also hope it isn’t the last time we hear from Stacey’s kitchen adventures)! 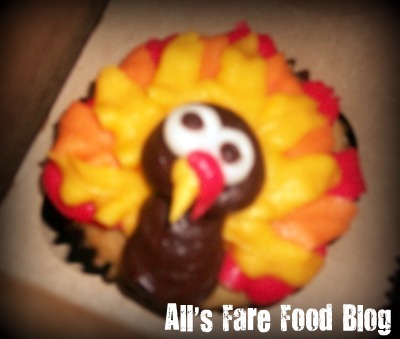 To the faithful All’s Fare finest, thank you for welcoming me to your foodie world for the day! I was honored when Christina asked me to guest blog here and couldn’t wait to find the perfect topic to share with you all. I knew it had to be something a) delicious b) fun and c) visually appealing. 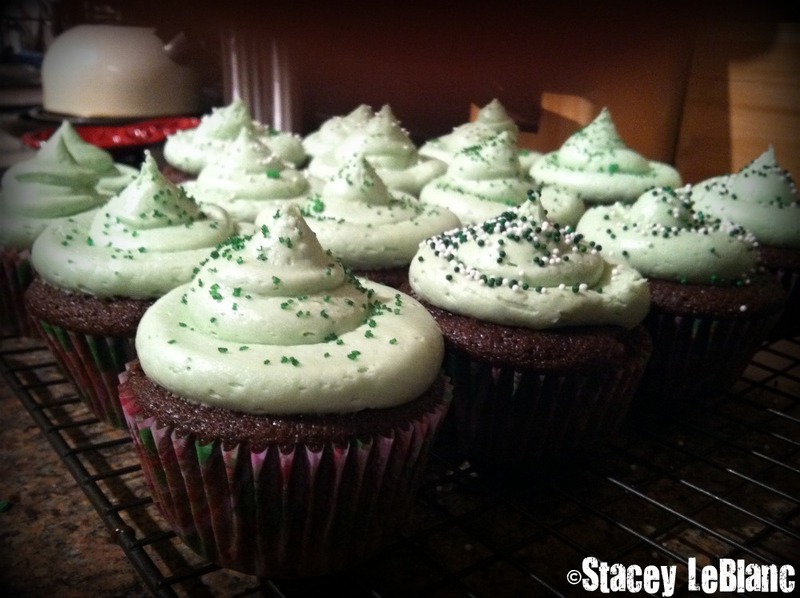 As St. Patrick’s Day approached I knew I had the perfect idea – Irish Carbomb Cupcakes! Yummmm…. Last year, I thought these little beauties were my own unique brain-child. I thought I was the one who came up with the idea to model a cupcake after one of the holiday’s punchiest cocktails. 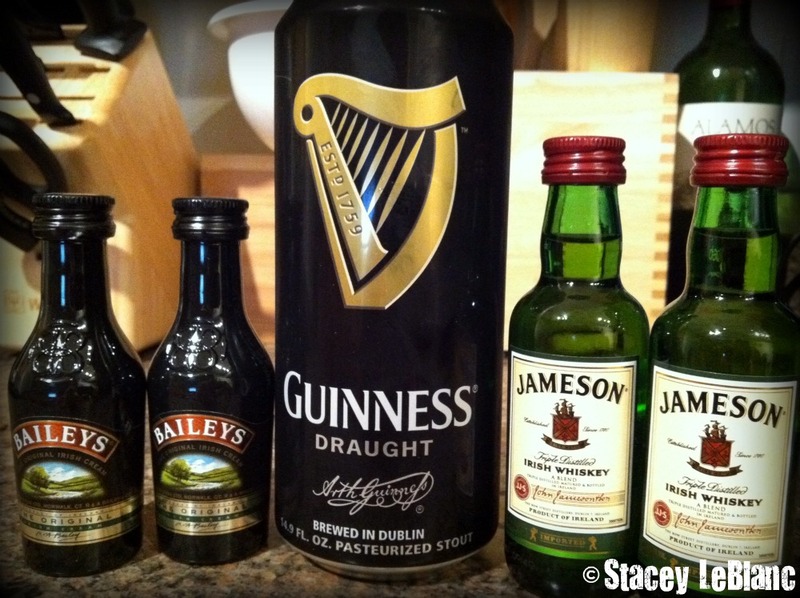 For those of you who haven’t experienced this beverage-based treat (if you’re not one for chugging, the beverage may not be a treat to you ), an Irish Carbomb shot is a nice, frosty glass of Guinness, with a shot glass filled with Bailey’s Irish Cream and Jameson Whiskey dropped in. You have to gulp it all down as fast as you can, otherwise the mixture curdles and is no longer anything CLOSE to a treat. To me, it tastes like a coffee frappe. DELISH! So, in 2010 I went ahead and put together a nice Guinness Spice Cake, made vanilla buttercream and stirred in some Bailey’s and Jameson for good measure. 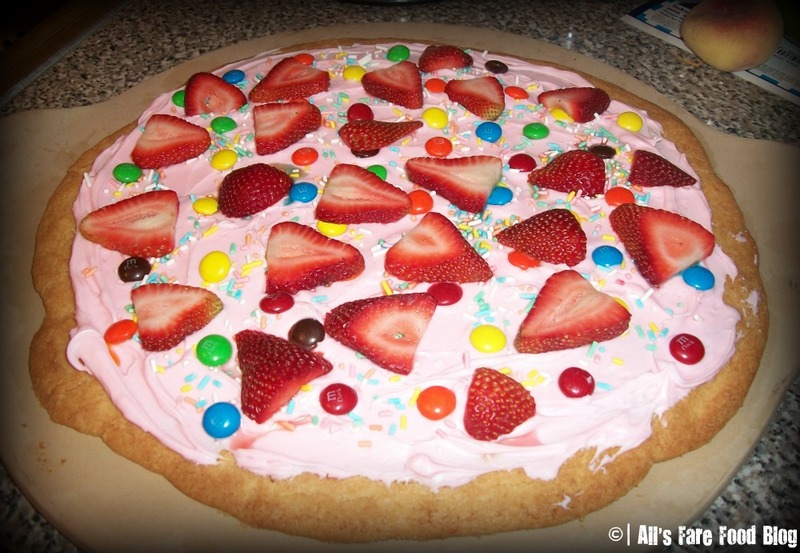 The end result was good, but not GREAT so I Googled “my” idea and found that a lot of bakers out there had the same thought, but on a much better, tastier level than my own. Enter one of my favorites, the one and only Smitten Kitchen. That smartie pants made a CHOCOLATE Guinness Cake, ANNNND filled them with Jameson-infused chocolate ganache before topping with a light and sweet Bailey’s buttercream. A severe chocoholic at heart, I knew this was the recipe I had to follow for 2011.